Windows are the essence of every home. 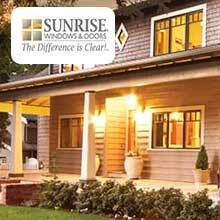 Not only do windows allow the sun to beam into a home, but they also ensure that the elements never enter the home. While new windows are able to do this adequately, older windows start to deteriorate and will slowly allow the outside air to enter the home. This is where over 30 percent of a homes energy bill will accumulate. Seal-Rite Roofing & Siding, Inc. is an industry leader in window installation and replacement. With years of experience, every home is able to have the best windows installed for a fraction of the cost.